As I write this essay the cicadas are shrill outside. The air is heavy and even in my cool study I am sweating with the heat. Later today it might rain; tonight it is quite possible that a storm will sweep over. In several minutes the chorus of cicadas will stop in unison, as if conducted by a maestro. This is Sydney weather, not the imaginary tropical north of much of Janette Turner Hospital’s fiction, yet these experiences are so similar when reading her work that it creates a constant tremor of recognition, one so potent as to be almost physical. Of course it is not necessary to be a Sydney-sider, a Queenslander or even an Australian to read Turner Hospital’s fiction and appreciate its significance, no more than it is necessary to be a resident of Los Angeles to understand the urban landscape of Raymond Chandler’s crime stories, or to live in Wyoming to gain insight into the work of Annie Proulx. This comes from the more universal pull of landscape, of geography, of place and even the weather, which connects reader to author in mysterious and luminous ways. All through the war in the Middle East there persisted a longing to return to the scenes of childhood, which is, after all, the purest well from which the creative artist draws. His return would ensure continuing creative inspiration deeply rooted in his experience of a ‘refreshed landscape’. This experience led directly to The Tree of Man (Viking Press, 1955) and then Voss (Eyre & Spottiswoode, 1957), and every other White novel that has relied on a literal, emotional and even spiritual connection with the landscape. Another expatriate author, Vladimir Nabokov, famously wrote in his 1980 essay ‘Good Readers and Good Writers’ that one should read not with the heart, not with the brain, but with the spine: it is here, he claims, that a ‘telltale tingle’ occurs, which allows us to bask in the magic of a great work of literature. 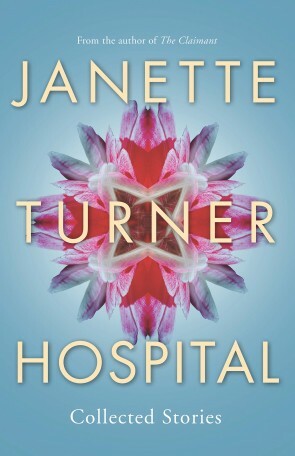 This telltale tingle is present when re-reading the stories of Janette Turner Hospital. In theseCollected Stories, much as in White’s work, the idea, memory and reality of place provide a constant reference point for exploring recurring themes: dispossession and fragmentation; the isolation of the individual; and the borders – whether thin and definite, thick or fuzzy – between people, cultures and language. And of course, being an expatriate author who returns regularly and revisits the country in her fiction, dislocation; which brings us to the first of these stories. These congested intersections of the public, sometimes global life with the small private one where order is fragile, where individuals grapple with the sense that some arbitrary, indifferent power is in control, might be suggestive of EM Forster’s A Passage to India (1924), but are played out even in stories that aren’t connected with the subcontinent. ‘Some Have Called Thee Mighty and Dreadful’ expresses the shocking familiarity of death and dying, exploring existential as well as practical implications that leave the narrator, whose friend is killed in a sudden car accident, with a long list of questions – ‘The will? Did she know? Did she make it happen? What is a coincidence?’ – and not a single answer. By the end of this volume, Turner Hospital moves into more personal and local dislocations, exploring memoir, family history, childhood memory and of course the landscape of Australia. Critic Selina Samuels believes that this personal quality contributes to her more successful stories, giving them emotional depth. The final story, ‘After Long Absence’, may be read as an autobiographical fragment, somewhat loosely structured yet no less a compelling account of grace and disappointment, played across two generations’ different experiences of education and religious faith. ‘I live at the desiccating edge of things, on the dividing line between two countries, nowhere,’ says the narrator of ‘The Bloody Past, The Wandering Future’. Dislocation, insecurity, living on the edge: these qualities have come to define post-occupation Australia to the point they are a truism. A non-Australian reader might not see what we see in these stories, or embrace them with that tremor of recognition mentioned earlier, but pursuing this idea is perhaps as futile as trying to pin down Turner Hospital as an Australian writer or as an expatriate one when, of course, she is both. Perhaps shaking off any inhibition about her own literary identity, as well as adopting a more secure position that straddles three continents, enables her to home in on home, as it were, in the fifteen stories comprising Isobars, of which ten are set fully or partially in Australia. A prime concern of these stories is communication, language, words. The fluidity of language, its limitations in trying to capture and define place, and especially its failure to explain the gendered violence often connected to place – a great preoccupation of another Queensland author, Thea Astley – is seen in ‘The Last of the Hapsburgs’. Miss Davenport, the protagonist, needs a ‘different sort of alphabet, a chlorophyll one, a solar one’ because the place, north Queensland, is too liminal, it ‘will not fit into words’. By the bleak end of this story, the violations of the boys upon her and her girl students are so hideous they have befouled language itself; Miss Davenport contemplates inventing a new one, a ‘new alphabet of moss and water’. People were kind. At dinner parties in terrace houses they said to her. For the traumatised Adeline, raped and brutalised by the police offers who are meant to protect her, no exercising of words can form a language that will speak this, let alone articulate a solution; it is the ‘same hollow alphabet’ encountered by Miss Davenport. All this represents a marvellous paradox, coming from such an accomplished writer of words. Formally, this set of stories features more experiment, relating to the slippage between past and present, time and place, delivering two or more sets of reality. ‘To Be Discontinued’, ‘The Loss of Faith’ and ‘Now I Lay Me Down to Sleep’ are exciting in this respect, exploiting the form to reinforce themes of crisis, confrontation, damage, and occasionally epiphany, if of a distorted nature. According to the title story, ‘An isobar is an imaginary line connecting places of equal pressure on a map’ – and by the final story, ‘Here and Now’, it is clear that isobars are also imaginary lines connecting personalities of equal pressure across the vast map of the human psyche. Also clear is Turner Hospital’s strong control of genre, in stories that trespass into the realm of the mythical and fantastical (‘Uncle Seaborn’, ‘The Chameleon Condition’) but may not be classed as outright fantasy. This is present, too, in the confluence of time and events in ‘Here and Now’, but again the story stops just short of being speculative fiction. In each instance, the realist voice ensures this. By the final stories, from the collection North of Nowhere, South of Loss, Turner Hospital has so fully created a geography of human consciousness that it seems only logical that her characters live in extreme states, where the weather dominates; these are inverted, hemispheric opposites where alienation and loneliness dominate and where marginalisation is almost a norm. The far north of Queensland and the deep south of the USA are polarised landscapes, and equally appropriate for the intense, mysterious, uncomfortable characters who inhabit them. Interestingly, language has now become doable: these characters are confident and fluent in their respective robust and often noisy language, seemingly in control of words rather than the other way around. Reading through Collected Stories sequentially is like witnessing the writer’s creative development. Of course that may be said that of any author’s entire work, but the short story form, which Turner Hospital has claimed so distinctly across her thirty years of publishing history, offers this experience in a crystallised manner. Her wide ranging and resonant themes are manifested in humble but memorable characters like Dorrie, the out-of-place mother of the celebrated scientist Brian in ‘The Ocean of Brisbane’ and his painful handling of her embarrassing presence. Or the wryly positioned Laura in ‘For Mr Voss or Occupant’, a comic yet tragic story which reinvents a work of Patrick White in startling new ways. Turner Hospital has acknowledged the stylistic influence of White on her work, but this is a full-blown fictional tribute to him, and a witty one at that. Informed by science, infused with philosophy, religion, poetry and dreams, propelled by geography and the weather, the imaginative reach of these stories are a testament to the author’s superb narrative strategies and the control she exercises over the elements of the short story: pace, tempo, mood, the punchy focus and the brief emotional stab to the reader’s heart, stomach or lungs – or indeed, spine – that the form should always deliver. In almost every story the elements of place are vital: the river, the sands, the sea. Storms, floods, snow, heat. The brooding imminence of uncertain weather. It is no surprise that Turner Hospital’s next volume of stories would be called Forecast: Turbulence (Fourth Estate, 2011). And yes, it’s now raining as I write. Callahan, D 2009, Rainforest Narratives: the Work of Janette Turner Hospital, University of Queensland Press, St Lucia. Greiner, DJ 2007, Critique: Studies in Contemporary Fiction – Janette Turner Hospital, Heldref Publications, University of South Carolina. Jorgensen, C 2010. ‘Interview with Janette Turner Hospital’, Hecate, vol. 36, nos. 1 & 2, pp. 186–196. Nabokov, V 1980, ‘Good Readers and Good Writers’ in Bowers, F (ed. ), Lectures on Literature, Weidenfeld and Nicholson, London. Samuels, S 1996, ‘Dislocation and Memory in the Short Stories of Janette Turner Hospital’,Journal of Modern Literature vol. 20, no. 1, pp. 85–95. White, P 1958, ‘The Prodigal Son’, Australian Letters, vol. 1, pp. 37–40. DEBRA ADELAIDE is an academic and fiction writer, and the author or editor of fifteen books, including the best-selling novel, The Household Guide to Dying (Picador, 2008). Her latest book is The Simple Act of Reading (Random House, 2015). She is Associate Professor in Creative Writing at the University of Technology, Sydney.